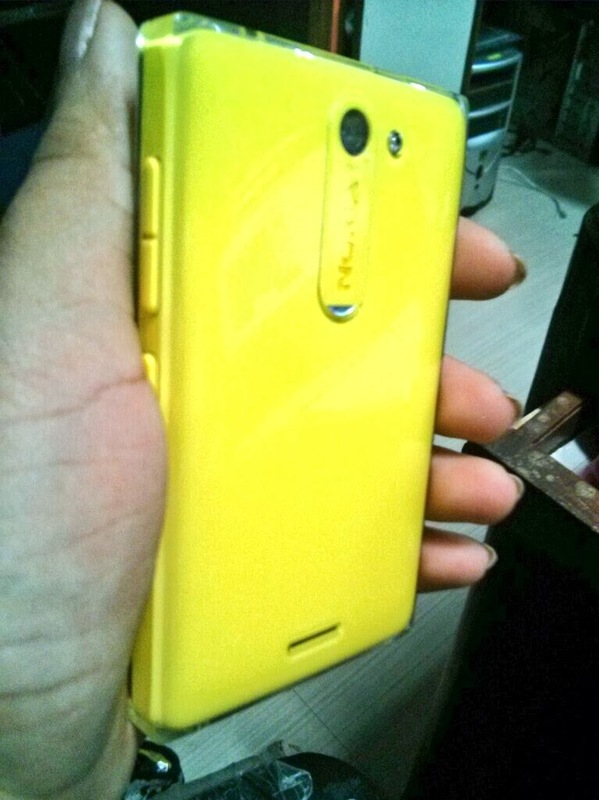 I had purchased the most awaited Asha 502 from Flipkart in the last week of December. Truth be said, I actually wanted to buy the 503 because it supports 3G (While the 502 supports only 2G) and has a Gorilla Glass. But since I needed a backup secondary phone urgently, and 503 was not launched and from what I heard it would be a month before I could buy that, I went ahead with the 502. I opted for the yellow colour, it was really difficult to choose one from all the beautiful colours they have it in (Yellow/Blue/Green/Red/White/Black). I wish they added one extra colour along for people to swap as and when they felt like! See product image in other colours HERE. Its MRP is Rs. 6,889/- but is easily available for Rs. 5,700/- approx on-line as an introductory offer. You can purchase it directly from Nokia's on-line store too! They also keep coming up with exchange offers or combo offers, which is really nice. 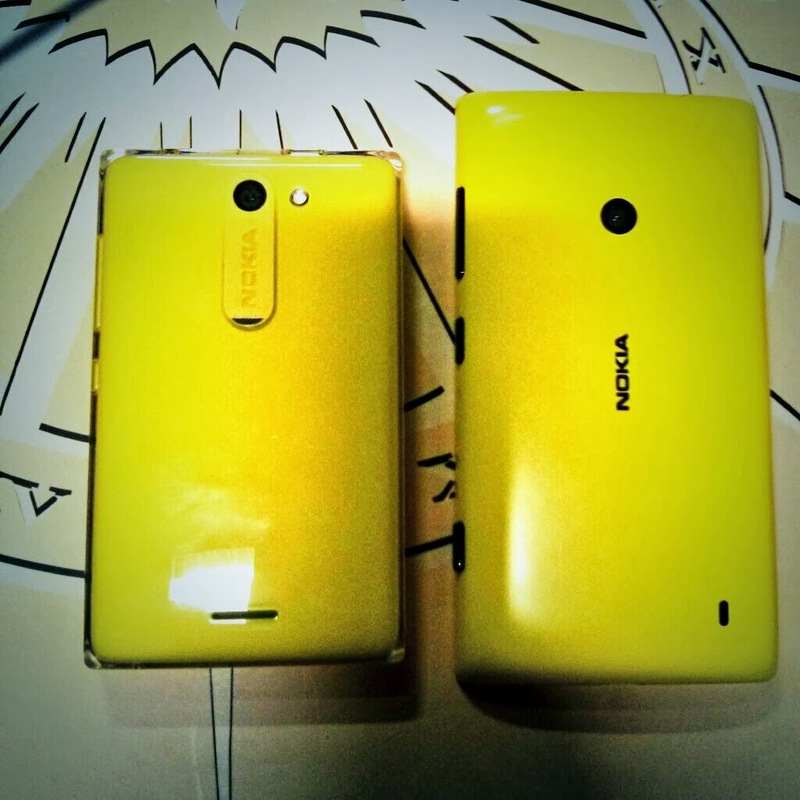 Above is the phone compared to the Nokia Lumia 520. I actually was thinking of going for the latter but since I wanted a good battery life & dual sim, I opted for Asha 502. 1. Looks damn cute! The crystal glass shell they have given is absolute beauty, plus its size makes it a bundle of joy all in all. You just cant take your eyes off the phone! 2. Great battery life! The phone keeps it promise when it comes to a long lasting battery. On average use i.e. whatsapp, clicking a few images, using FM Radio and receiving calls, the phone's battery lasted 2 days. Which is great. Maybe that's why it comes without 3G, which is a battery eating feature. 3. Easy to use UI! The phone is not complicated at all. The Asha OS is easy to use and understand. So this can make a great first phone for people! 4. Built quality, voice clarity on calls as well as music player, the cute clock & alarm app are some of the other things I like about the phone. 1. Though it supports most of the apps like Whatsapp, Twitter, Facebook, We-chat and so on, its not very smooth & easy to use. Whatsapp is still okay, but the rest take a lot of time to load, even on wifi! I personally do not have as much patience for tweets or fb status to load! 3. The 5 mp does not seem to be as good as should be, or maybe its that I am so used to the Nexus 4's 8 MP. But it still looks not up to the mark to me. 4. The display is very okayish, a little disappointing all in all. If you put in around 2k more you can buy the Nokia Lumia 520 , its display & touch is magnificent. If your budget is tight, and you mainly need it for a okay camera, dual sim & whatsapp, with good battery life, go for it. If you need faster internet on the go, would suggest the 503, they look the same. But if you use a lot of apps, I would not suggest this one. Thank you for viewing! Do give your valuable comments!